Over the years, Babu has consistently been ranked as one of the handsome actors in South India, but what really takes you by surprise, when you meet him in person, is his sense of humour. For instance, when he was asked if he reads or watches news everyday, at least for the sake of preparing for his role, he retorts, “No. Is there anything good I missed out on? (smiles).” In another context, when he was asked if he’s going to campaign for any political party in 2019, he simply says, “I’m more likely to go on a holiday with my family.” But the moment he gets talking about his work, he’s a different person altogether. You said you were hesitant to take up the role after Koratala Siva narrated you the story. 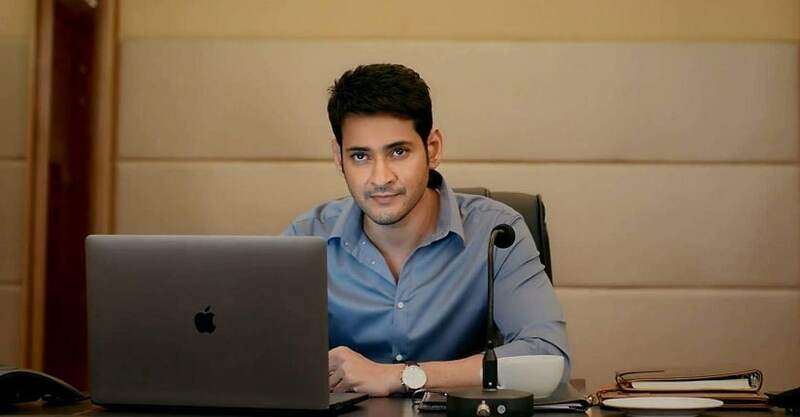 So, what convinced you to be part of Bharat Ane Nenu? And what did you learn in the process? I am a complete stranger to politics. That's why I was hesitant to say yes to the film. I must give the credit to Koratala Siva because he had a clear vision and character design, and that helped me overcome my initial nervousness. There’s so much content in the film that we could have made it into two parts. I didn’t really do much preparation for the role, apart from watching few videos of my brother-in-law Jay Galla addressing the Parliament, and I relied a lot more on what Koratala Siva wanted me to do. The approach was very fresh and we didn’t imitate anyone, and the film isn’t a satire on politics either. It was also quite challenging for me because I’ve never delivered such lengthy dialogues in any of my recent films. You can’t talk in a casual way when it’s a political drama. I’ve been working on this project for the last one-and-a-half years, and I learnt a lot about politics through Koratala Siva. When you’re a Chief Minister, it’s not about having a large convoy, heavy security, etc. Politics is about responsibility and delivering the promises you’ve made to the people. Besides, being in politics isn’t a joke. India is a vast country and our political leadership is trying to address several issues. I’m hoping that more people will get interested in politics after watching the film. Talking about the film, in the recent past, you called it a masterpiece on more occasions than one. When did you realise that you were part of something special? We were all quite confident about the film right from the beginning. I was on a high when I listened to 'Song of Bharat' and 'Vacchadayyo Saami' for the first time. There were plenty instances where I felt that we were making something special. Suresh, the art director, built a spectacular set which resembled the State Assembly. We liked it so much that we would just hang around on the set even if we didn’t have to shoot anything on that day. It’s hard to pinpoint one reason, I suppose. It’s a gut feeling. At a recent event, NTR Jr praised you saying that you’re an inspiration to actors like him because you continue to experiment with your roles, despite being such a big star. Would you agree to him? I really think I need to stop experimenting with my roles now. Otherwise, my father’s fans and my fans will come home to beat me up if I continue (laughs). I’m going to stick to doing more commercial films from here onwards, and I’ve no more patience for experimentation. What has led you to make this decision? I mean, I’ll continue to experiment in terms of picking fresh content, but then, I’ll review it 10-15 times before saying yes. When I was young, I wouldn’t think twice about doing a film, if I felt that the story was new and exciting. But now, I’m a little tired of that process. I understand that I need to keep commercial elements in mind, because when the stakes are so high with budgets being so high, it’s very important to satisfy your fans. So, the idea is to scrutinise your decision several times before you actually go to shoot. Talking about commercial elements, did you already know that some of your recent films weren’t commercial enough while they were under production? You can only connect the dots in hindsight, I guess. Now that you’ve asked me, I feel that we shouldn’t have made Spyder as a bilingual film. That was a mistake. A R Murugadoss is a fantastic director, and since we were making a bilingual film, he tried to balance my image in both the markets. Clearly, that didn’t work for us because the audience’s perception is quite different here in Telugu. They need a strong element of heroism in such films. Since we were trying to strike a balance between the two versions, we ended up giving a lot of importance to the Tamil market. If we had scrutinised it more before filming it, perhaps it would have been a better film and the result would have been different. Also read on Firstpost — Bharat Ane Nenu: Will Mahesh Babu-Kortala Siva's film revive Telugu cinema's political drama genre? In a recent interview, Koratala Siva stated that you love good storytelling more than the role you play in your films. What’s your approach to acting in general? Cinema is all about good storytelling, isn’t it? Camera is a tool, actors are tools, and we are all helping the storyteller to bring alive his vision on screen. That’s how I’ve always approached my work. Now, when you are the lead character in a story, you become a primary tool (laughs). When I think about Srimanthudu, my focus is on whether I’m playing the character correctly, and whether I’m able to emote the way the director had envisioned it. I prefer working with directors who are also write the script, because the writer understands the emotion of the character more than anyone else and it’s a simpler task to deal with one person instead of getting caught in a situation when there is a clash of ideas. Whether it was Srimanthudu or Bharat Ane Nenu, my first reaction after doing a scene is to talk to Siva and check if I was able to get the essence and emotion of the scene which he had originally written. That’s what I keep checking constantly and it’s an important part of my process. You’ve always drawn a line between your personal and professional life, and on many occasions, we have no clue what’s your opinion is on any issue. And now, you’ve done a political drama. Is this because you don’t want people to be influenced by your real life personality and opinions when they see you on screen? It was never intentional, to be honest. I’ve always stated that politics isn’t my cup of tea. My personal life is my personal life. When it comes to films, I work really hard and I take my work very seriously. It’s not an easy job and I give my 100%. When I’m not acting in front of the camera, I cut myself off completely from that space to spend time with my family, watch movies on Netflix, Apple TV, or go on a vacation. I don’t really have the energy for anything else when I’m not working. In the past few years, you have played roles where you’re soft-spoken, and the acting style is also quite subtle. I’m sure even your fans have pointed it out that it’s become a little too monotonous now...isn’t it? I understand that my fans are bored with my subtle acting style and they want me to do something else and also focus on how I emote on screen, but the you need to understand that the roles in my recent films are meant to be subtle and soft-spoken. As an actor, I surrender myself to the characterisation and the script without any question. It’s not in my hands, and it’s not right to move out of that zone to bring in another variation just for the sake of it. But I’m sure that they’ll be very happy with Bharat Ane Nenu and there won’t be anything else to complain after this (smiles). The first time I saw the teaser of Bharat Ane Nenu, I kept wondering if it’s an updated version of Srimanthudu. But here, you’re playing a larger-than-life role. 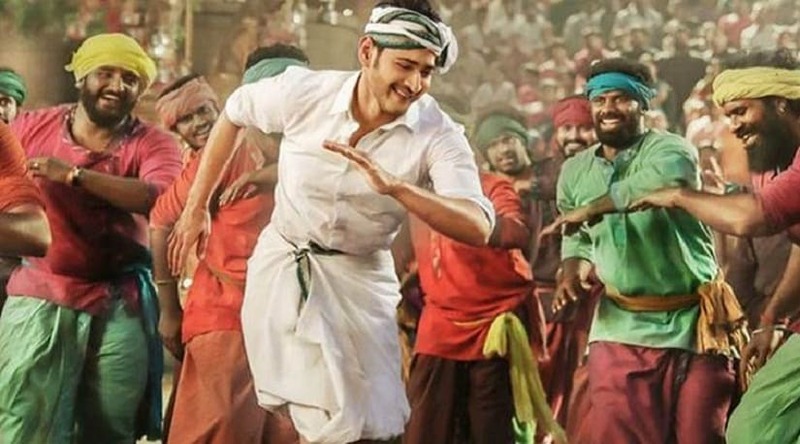 Considering that both the films have been directed by Koratala Siva, did you see any similarities between Harsha (from Srimanthudu) and Bharath (from Bharat Ane Nenu)? The characterisations have nothing in common with each other. Bharat is a happy-go-lucky guy, living abroad, who gets thrown into a political world in the first 10 minutes of the film and the story focuses on his journey and how he transforms over a period of time. It’s truly an honour to play this role. It is a larger-than-life character, and the beauty of it is that everything is well-knit and logical in the film. You might wonder why would a CM get his hands dirty and fight in public, but Koratala Siva has explained it really well. You need a master storyteller to get the commercial elements in place while making such a film and I believe that he has pulled it off really well (smiles).